Indie Music Filter – Page 1103 – Toronto-based music blog showcasing the best new indie music. To the point track features, videos, reviews and streaming playlists. I have to get this one out of my head before I leave this office. I turned 28 today. Which is kind of cool because it is not 30. And 30 is cool because it is not 50… and so on. Birthdays need good rock songs. Check out this band. I like every part of this song, but I especially enjoy the chorus. It feels like musically someone has slapped you in the face with a heavy magazine, like a national geographic. Great contrast of sounds, light twinkling of bells dancing in-between distorted screams and shouts. And they’ll soon be playing in Canada, thanks to the good kids at Sunny Lane Records. 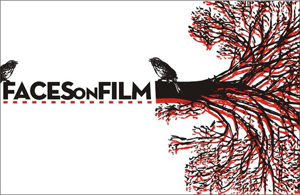 Look for FOF at the Horseshoe, Feb. 7th. I love watching a great band live, left hand with my bottle of beer by my waist, thumb hooked into my pants pocket. Legs shoulder width apart, knees slightly bent. Right hand is free to tap out the beat. And to find the beat, its not normally too difficult when watching a rock band. Unless they get you on the intro. 1. The act of starting a song by non-percussive instruments, establishing a beat, then bringing in the drums on the ‘off-beat’. I’ll can only locate this one example, but I know there are more. Check it out. Play the song and start tapping the beat. 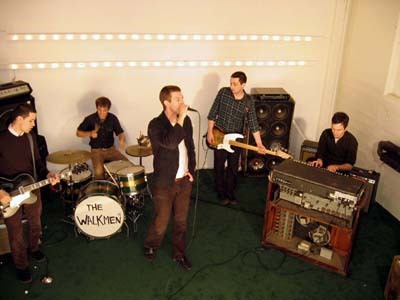 4 things about a band called The Walkmen. 1. Explosive rock band from New York getting ready to tour their 3 full length record. 2. While arm wrestling, lead singer Hamilton Leithauser snapped guitarist/pianist Paul Maroon’s arm just after finishing recording of ‘Bows and Arrows‘. 3. They’ll be playing a show in Toronto, January 28th at Lees Palace. Testing out material from the next record. This is my first post….. so I’m not going to make it too fancy.? I thought I would just mention a cool site out there on the net that helps recommend new music.? Its called Last FM. You download free software which allows you to stream music on to your computer. You start the program by typing in a band that you like, and it spits out recommendations based on a variety of factors (audio scrobbler plugins, last.fm user opinions and witchcraft). When you type in Caribou, the system recommends bands like Animal Collective, Four Tet, M83 and LCD Soundsystem (to name a few).